Elite Academy of Dance are enrolling for Ballet Classes in Greenock for 2018. Inverclyde’s only dedicated Royal Academy of Dance School of Classical Ballet has some spaces available for anyone who is interested in Ballet. Open to both Male and Female dancers from age two through to those in there 80s. There are ballet lessons available every day of the week at Elites private dance studio. Established in August 2008, Elite has developed a centre of excellence in Classical Ballet and has established close links with Scottish Ballet and The Dance School of Scotland. All classes are taught by fully Trained and Qualified Royal Academy of Dance Teachers. Elite Academy is the areas Premier Ballet School and will be celebrating the start of its 10th year in August. So if Ballet is your passion and you want to join the Elite please read on and see some of the classes we have on offer. Our Baby Ballet Classes in Greenock for 2018, are of course designed for students age 2-4 years old. The Baby Ballet Classes have been designed by Royal Academy as the first stage in Ballet training. Students are taught the basic five positions in Ballet in a fun and friendly manner. Baby Ballet Classes run at Elite Academy in Greenock on Tuesdays, Wednesdays and Thursdays. 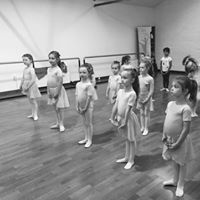 In addition tour Baby Classes our Primary Ballet Classes in Greenock for 2018 are designed for students age 5- 7 years old. The Primary Classes like the Baby Classes work on the basic five positions and start to build on those towards more complex ballet. It is at this stage students will start work towards Royal Academy of Dance Exams. Primary Classes run on Mondays and Thursdays. From age 8 and over we run classes every day of the week. so what ever age you are Elite Academy has Ballet Classes in Greenock for 2018. From ages 8 to 18 students work towards Royal Academy of Dance Exams and classes are taught in Graded Classes. For our over 18s there Adult Classes which are ballet based. Classes are great fun and are of course a great way to keep fit. While learning ballet at the same time. Adult classes run every Wednesday evening. Finally there are the Silver Swan Classes which are designed for the over 55s, again like the Adult classes they are great fun and are great way to stay fit and healthy. Silver Swan Classes run every Tuesday and Thursday mornings. Interested in finding out more about any of our Ballet classes, please contact us for further information. ← Silver Swans Ballet 4 today.